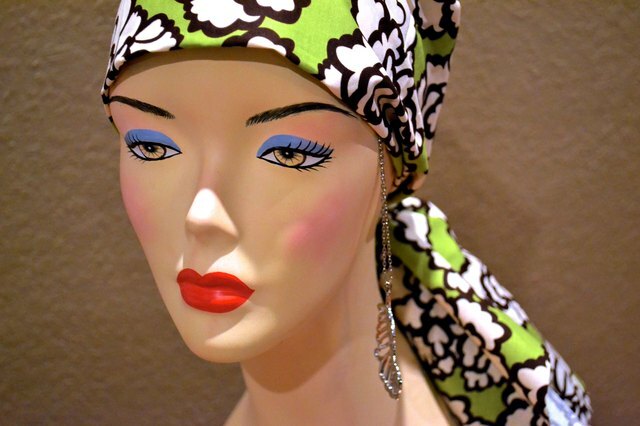 There are many styles of head scarves available to people undergoing cancer treatments. Some of the styling includes traditional bandanas, berets and flat caps. The snood is a very stylish head scarf. Sewing a head scarf for cancer patients can be rewarding. Consider the available choices. If this is your first head scarf, choose a pattern that is simple to complete. This will allow you to move easily through the pattern steps and focus on quality. 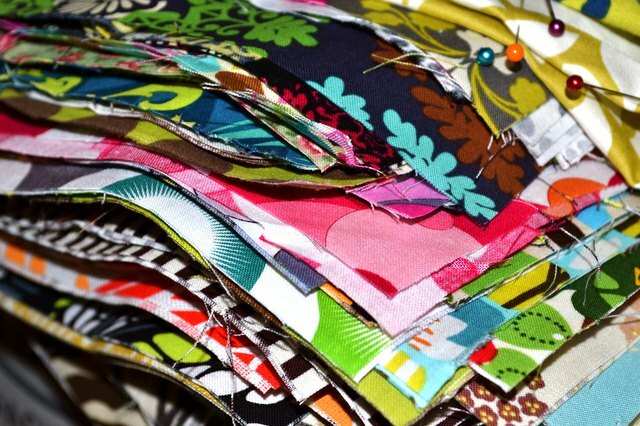 Each pattern style will suggest a range of fabric options for creating your head scarf. The fabrics can be 100 percent cotton, embroidered silk or anything in between. 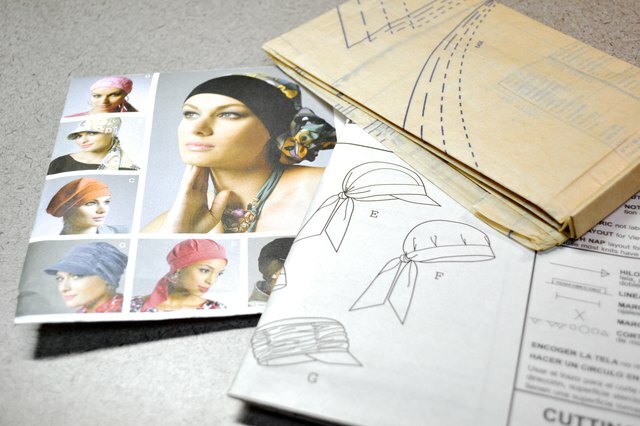 The best way to determine what type of fabric to use is to consider where the head scarf will be worn. 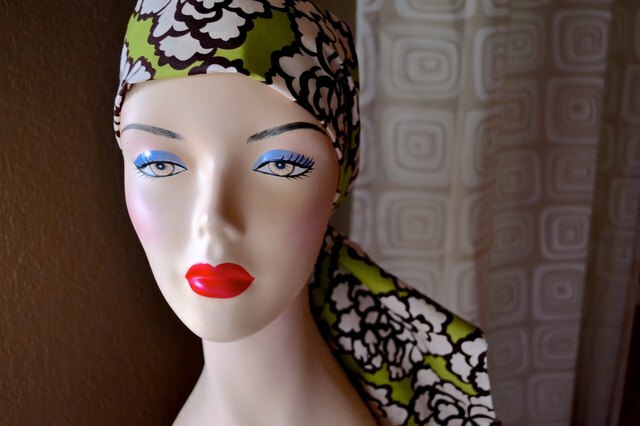 If the wearer is planning to go to a party, you may wish to make a head scarf from satin. For everyday wear, choose a cotton print. The cotton allows the skin to breathe. Cotton comes in a large variety of prints, allowing you to customize to the wearer's personality. Consider the activity level of the person you are making the scarf for. If she is active, you can line the scarf to help absorb perspiration. A lining can also help provide warmth in cold months. For lining, you'll need to purchase cotton fabric. Linings should be cotton, regardless of the top fabric. Use the time it takes to cut out the pattern as an opportunity to become familiar with the scarf's anatomy. Read the instructions all the way through before you begin to cut the pieces. Use sharp scissors so your cuts will be crisp, and you will be less likely to tear the pattern paper. If you plan to make several scarves, you might consider transferring your pattern to a plastic template. Lay your pattern on the fabric. Follow the layout diagram provided with the pattern. 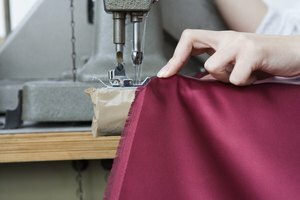 This will ensure frugal use of your fabric and make certain that the pieces are cut with the grain of the fabric in the correct direction. 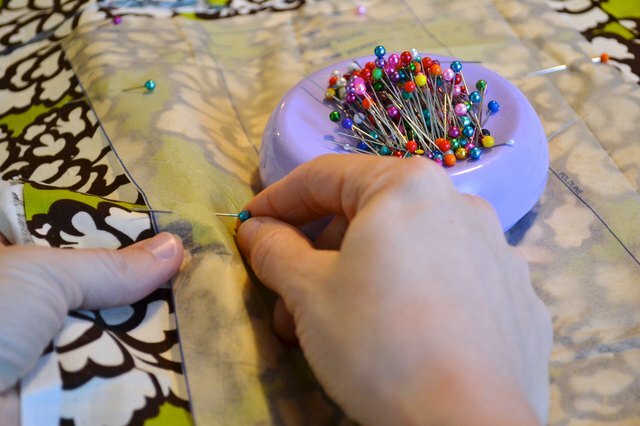 Use flat-head pins to pin the pattern securely. Transfer all marks from the pattern to the fabric, even if you think you will remember them. If you want to make a truly personalized head scarf for a person undergoing cancer treatment, add embellishments such as rhinestones, ringlets that dangle just a little, or a rosette on the side. A chain that hangs from the scarf down along the side of the face is popular with preteens undergoing cancer treatment.